There is no doubt our that four-legged faithful friends are incredible creatures. They are very sensitive and can easily feel the emotions of a person always ready to help everybody in need. In some cases, the mood recognition is the pet’s direct responsibility. 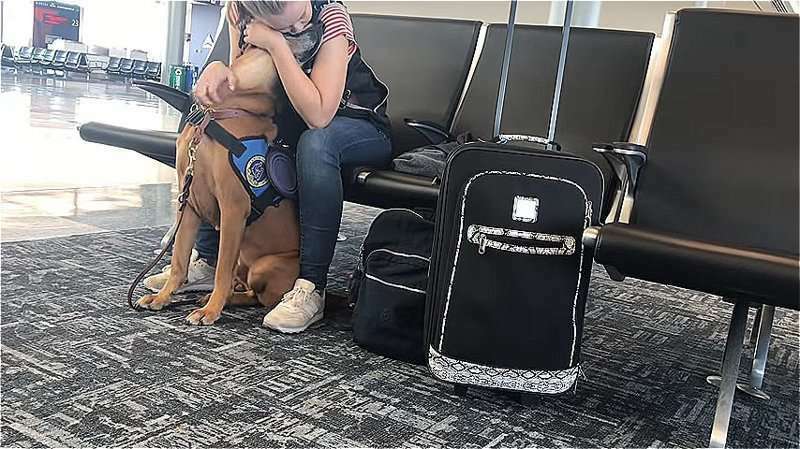 That is why a service dog named Oakley knew exactly how to act immediately to encourage his owner Amber Aquart when the girl could no longer hold her panic attack in the airport waiting room. The video with the dog’s reaction to the attack was shared on YouTube, and it immediately became viral. Amber Aquart is a professional dog trainer. 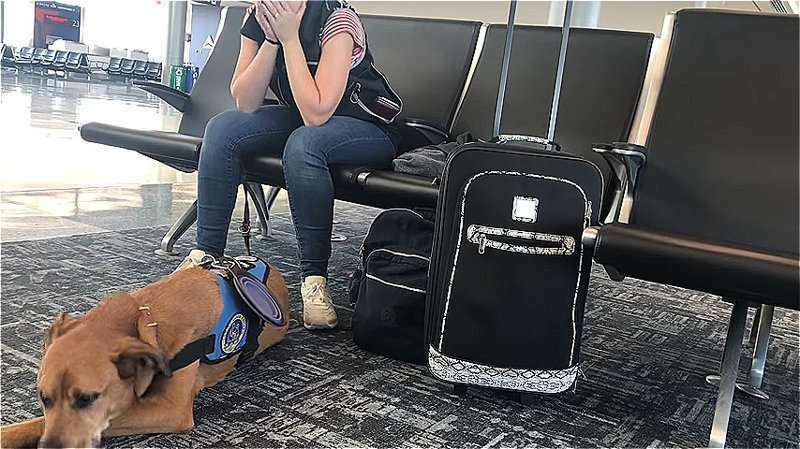 She independently taught her dog Oakley to recognize the main symptoms of a panic attack: increased respiration, changes in body temperature, and pulse acceleration. Oakley helps me every day. He always keeps track of my emotional state and is always ready to help when necessary. Both my dogs are trained to interrupt panic attacks, but Oakley is my main support. 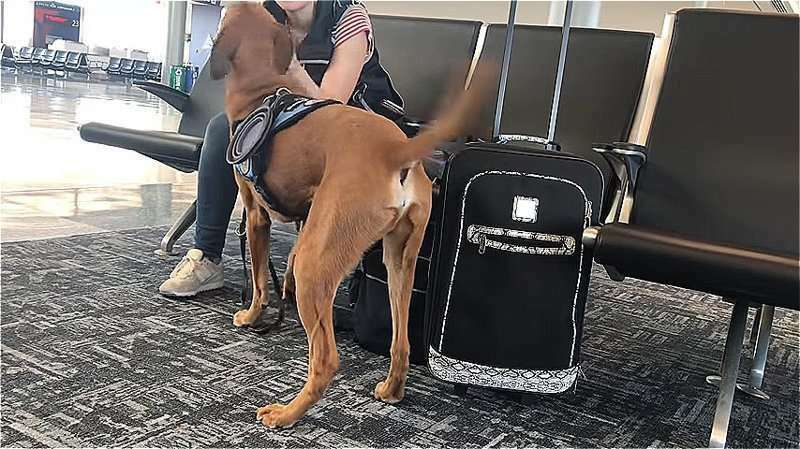 Such dogs are specially trained to help people in post-traumatic situations in the USA. Oakley influences the life of his owner in the most helpful way. The story reminded us once again that dogs are not only our loyal friends but also the best faithful assistants!